Presidential candidate Beto O'Rourke on Saturday told supporters he doesn't believe AR-15s should be sold anymore during an interview on the "Political Party Live!" podcast in Iowa. 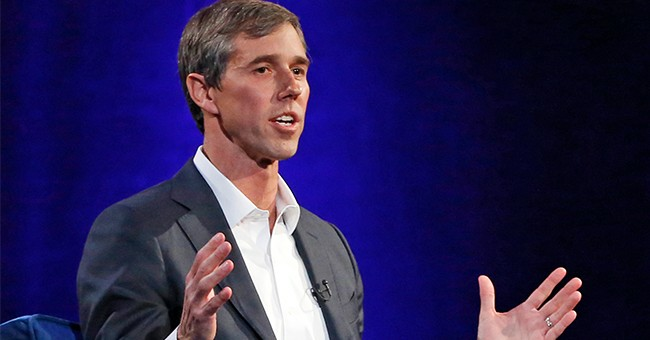 "We allow people to buy weapons that were designed, engineered and sold to the United States military for the expressed purpose of killing people as effectively as possible in as great a number as possible," O'Rourke said. What's interesting, however, is Beto's understanding – or lack thereof – of AR15s. "An AR-15 gunshot wound, that high impact, high velocity round, will blow a hole through your back the size of an orange. You will bleed to death before anyone can get to you and save your life, because that's exactly what it was designed to do, to keep that enemy's soldier down and not claim the life of one of our own," O'Rourke explained. "If you own an AR-15, keep it. Continue to use it responsibly and safely. I just don't think that we need to sell anymore weapons of war into this public." People like Beto continually regurgitate talking points from various gun control groups, although they know absolutely nothing about firearms. We have politicians spewing this false narrative and all it's doing is harming law-abiding gun owners. But because this firearm is big and black and has all kinds of various attachments, anti-gunners are on this crusade to have them permanently outlawed. And, sadly, we have politicians who are more than willing to spread this false narrative, all in the name of "safety" and "common sense" gun laws.